Whether you're moving locally, across the country or internationally, Allied Van Lines has a service to help ease the stress. To read reviews of our top picks for the best long-distance movers, click the link below. Allied Van Lines is a company that handles virtually any relocation, whether it’s across town, across the country, an international or a corporate move. With 85 years of experience in the moving industry, they are the oldest van line in the United States. Allied’s headquarters are in Chicago, IL and their parent company, SIRVA, Inc., is the world’s largest global moving company. The Women’s Choice Awards recognized Allied Van Lines for having a diverse workplace, and for being the most recommended mover three years in a row. Allied Van Lines helps their customers every step of the way in the moving process. Along with transporting your belongings, they offer a packing service, temporary storage (local, national and international), packing and unpacking service, a Personal Relocation Assistant through all phases of your move and other optional services to fine-tune your moving package to your specific needs. Allied aims to be an affordable moving company. You may be concerned about the cost of contracting with a moving company, but consider the time and stress you save by using a professional, along with the security of having your household moved safely from one location to another. Each customer receives a moving plan created for their unique situation and needs. Customers have one contact person for any questions or concerns during their move. Guaranteed quotes with an in-home visit. Using different agents across the country can cause confusion if they don’t use the same procedures. Getting an estimate with Allied Van Lines is as fast and easy as visiting their website and entering your home size and location, and the destination for your move. This is a preliminary quote. To get a firm quote, an Allied representative will visit your home for a free on-site inspection where they will survey each room for contents. The representative needs to know everything you are moving to put together a final quote, so they will need to take a look behind doors, in drawers and the garage and basement. If you have items stored in the attic or a shed or other outbuilding, they will need to inspect these as well. Get in touch with your relocation assistant to get the quote updated if you find items while you are packing that were not included in the quote. Attempting to pack more without letting any moving company know will likely result in delays due to insufficient room available on the trailer or going over legal weight limits. Quotes we found online showed us that you can expect to pay around $550 for a small, in-town move with no additional services like packing. If you have more than two bedrooms and want to use Allied’s packing services, expect to pay a few thousand dollars. Large moves across the country will cost over $5,000. Allied will give you a breakdown of the pricing with the final quote and will stand by the price, so you don’t have to be concerned about unexpected charges. Since Allied Van Lines is a full service moving company, they give customers the option of packing their own moving boxes, or the company can handle part or all of the packing. If you pack boxes yourself, Allied will ensure that you have adequately secured everything and that your things will remain safe. For bulkier items like major electronics or appliances that can’t fit in a regular box, Allied Van Lines can create a custom-built crate to ensure safe transport. And there’s no item too big for Allied to move. If you need vehicles transported to your new locations, they have experience with moving cars, boats, and motorcycles. If you’d like them to go a step further, Allied works with trusted third party local companies to set up and connect appliances like refrigerators, washers, and dryers at your new home. To start the process of moving with Allied Van Lines, you’ll either visit their website or give them a call to request an estimate. When you’ve decided to start the moving process, Allied starts working for you. Before your move, an Allied agent will visit your home to make sure your belongings are properly packed, regardless of whether you or they did the packing. Allied will inventory your items and then label all boxes. Any furniture will be covered in plastic wrap to protect against dirt and scratches. After preparing your items, they are loaded on to a vehicle with an air ride suspension system for safety and transported to the new location. After delivering your items, Allied Van Lines will take inventory during unloading to account for all belongings and to ensure that nothing has been damaged. Your items are removed from the truck, then the company’s movers will place all boxes and furniture in their appropriate rooms and reassemble anything at your request. International moves require much more than packing belongings in a truck. For international moves, Allied Van Lines offers a complete tracking service, GlobalCom. The customer uses a tracking number to see exactly where their shipment is at any moment, where it has been on the journey and the next expected stop on the way to the final destination. Allied assists customers with customs forms, temporary international storage and visas. One of the most substantial advantages of choosing Allied Van Lines for a move comes in their customer service. When you move with Allied, a personal relocation assistant will be your point of contact for the entire process. Having a single point of contact simplifies communication because that one person is familiar with your moving package, your family, and your needs. Not having to explain who you are each time you contact the company saves a lot of time and goes a long way toward making sure you have a great moving experience. Many reviews online say Allied Van Lines helped families have the best moving experience compared with other movers they’ve used. Customers note that the company is always professional from the first quote to the time the last box is dropped off and that the company’s communication is top notch. There are some criticisms about the company from customers, mostly about pickups being late or a move taking a little longer than expected. Allied has an A+ rating with the Better Business Bureau and is a BBB-accredited company. What’s included in Allied Van Lines international moving services? Allied has resources around the globe to assist with an international move, including storage, help with customs, an online tracking system so you can follow your boxes each step of the move, and a single contact person with the company. 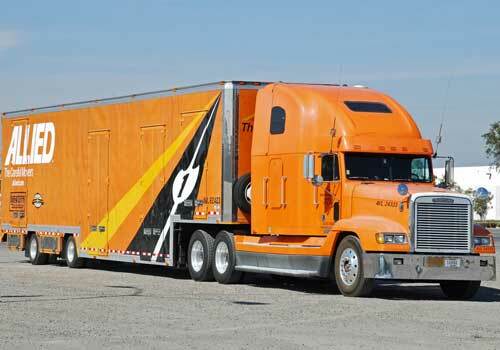 Will Allied Van Lines pack a customer’s items for a move? Yes. Allied will pack all or some of a customer’s items for a move, or the customer can pack belongings themselves before the move if they wish. Ask about fees for packing. What happens if something gets damaged during shipment? Allied takes every step to ensure the safety of a customer’s belongings during a move, but if damage occurs during transit, the company has claims forms for domestic travel and international travel. A claims adjuster acknowledges all claims, and Allied asks that you not do any repairs or replace damaged items before they have a chance to investigate. Does Allied Van Lines offer insurance protection? Yes. The company does offer a basic level of insurance protection for their customer’s items. They also offer Extra Protection Service (EPS) that Allied says is “the most comprehensive protection plan in the industry.” EPS coverage will replace or repair any item damaged or lost in the move, and extends to matching items like end tables (if one is damaged, both are replaced). We recommend you buy the EPS as the basic insurance offered by any moving company does not adequately cover most items. How early should you contact the company before you move? In general, Allied Van Lines asks for at least six weeks notice before your move if you’re traveling during the busy season of May to September and four weeks during other times of the year. How does Allied create an exact in-home survey quote? To create a final quote for you, Allied will have a representative visit your home where they will figure the weight of your belongings and will discuss optional services you may want to include in your moving package. This procedure usually requires emptying out your attic, cabinets, closets and other areas to make everything visible. Before you have an in-home visit, it’s a good idea to get rid of everything you won’t be taking with you. This estimate is the final one, and won’t increase unless the customer adds any services or insurance after the quote. 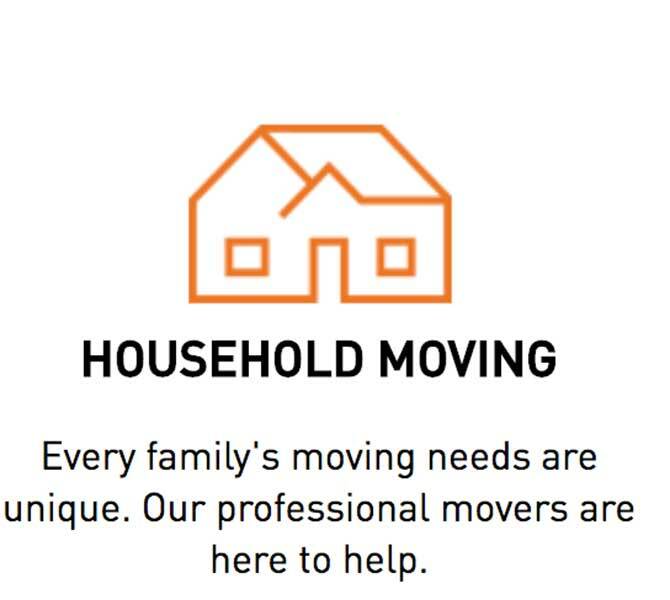 With hundreds of moving agents in North America and a global network across 45 countries, Allied moves around 100,000 families each year. There are many options to choose from when it comes to moving companies, but Allied Van Lines stands out for their customer service, their guaranteed pricing, and their professional staff. Moving isn’t easy, and there’s no reason to complicate things by trying to do it all on your own. Allied has been moving households for nearly nine decades and keeps communication clear by pairing you with a Personal Relocation Assistant to oversee your move. With add-ons like packing and storage services, Allied Van Lines could make your next move as easy as possible. After a very painful move with Allied since day one, with missing items an half of our furniture damaged, we are still waiting for a response on the insurance claim resolution. At the beginning we were told a company will arrive to fix some of the furniture and then we will settle for the rest. Its been almost six months since our move and we are still waiting for a call or an email informing when all this will be fix, instead they are not contacting us anymore and basically they are ignoring us now. This is very unsettling and distressful, and the lack of professionalism is just appalling. It's amazing that these companies charge you big amounts of money on insurance and then they just forget about it, sounds like a scam to us. This company was recommended to us by friends that works in multinationals like Exxon, but after this experience we will make sure they know what type of companies they are dealing with. To block a man's driveway for four hours without the basic courtesy of a notification or request is no different than spitting in his face. The driver was willing to move his truck, very congenial. His loader wanted to fight. I told the driver I didn't want him to move his truck. Just wanted to know why I was not afforded the courtesy of a notification or request.